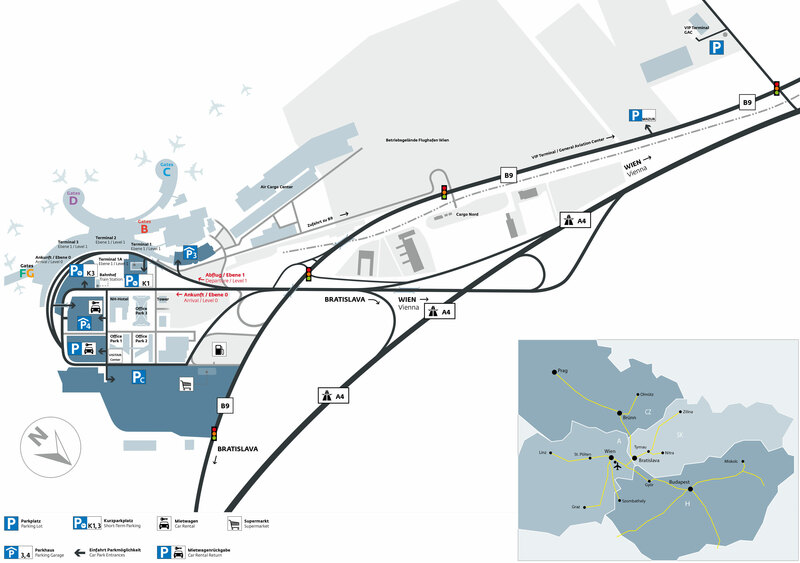 You can find on this page the map of Vienna international airport. Vienna is served by an international airport totaling more than 22.5 million passengers per year and is operated by the company Flughafen Wien AG. The international airport of Vienna is the 17th largest airport in the Europe with a passenger traffic of 22.5 million travelers in 2014. It has 4 terminals which are the terminal 1, terminal 1A, terminal 2 and the terminal 3. To reach the city center, the best means of transport is currently the S Bahn S7, the City Airport Train (CAT) or the taxi.